Last month Caitlin Marquis, a short term volunteer who came to work with the SCLC for four weeks this Spring, composed a four-page informational packet on the SCLC's reforestation activities. Here is a taste of what can be found in the downloads section of our website. 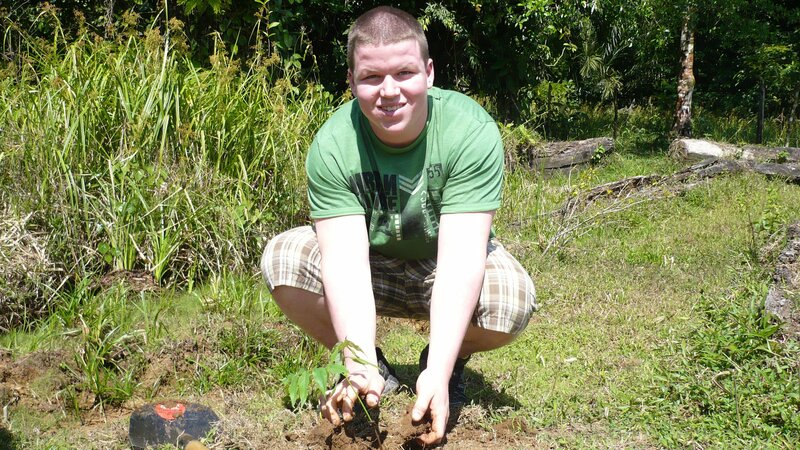 Volunteers who plant or monitor trees help to reverse the destructive deforestation caused by clearing land for agriculture and cattle and by commercial logging. This deforestation left only about twenty five percent of Costa Rica covered in forest by 1990, leading to erosion, soil degradation, loss of habitat for native species, release of carbon dioxide, and the depletion of a vital tool in combating global warming. What trees do we plant? 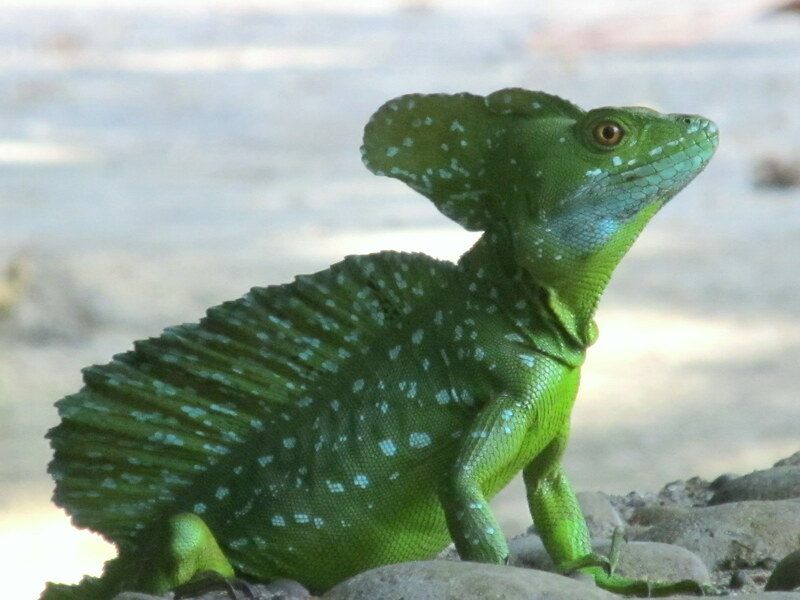 With over one hundred tree species in just three acres of Sarapiquí rain forest, there are lots of species to choose from. Even so, non-native species such as eucalyptus and pine trees were used until the late 1980s, when nearby La Selva Biological Station conducted a study of about 80 native species, naming 13 as prime targets for reforestation based on high survival rates, commercial value of the wood, and ecological benefits such as carbon sequestration, habitat, and food. It is important to plant a variety of species to promote diverse forest regeneration, and to protect the trees against disease. Some of the most common species in SCLC reforestation efforts include a mix of almendro, sota caballo, roble coral, fruta durada, cortez amarillo, laurito cohoba. 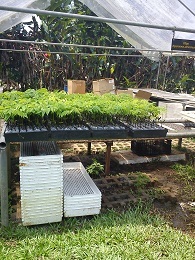 Most of the trees planted in SCLC projects are grown in nurseries funded by the Instituto Costarricense de Electricidad (ICE) as part of its efforts to offset the negative environmental impact of hydroelectric dams being built along rivers in the region. In addition to removing carbon dioxide from the air to reduce global warming, the trees will help ease erosion, ultimately improving the watershed that serves the hydroelectric plants. The SCLC and the fincas where we conduct our reforestation projects are located in a vital bottleneck of the San Juan-La Selva Biological Corridor, part of the proposed Mesoamerican Biological Corridor, running from Mexico's Yucatan Peninsula to Panama's Darien Peninsula. As it connects larger areas of protected land, this corridor promotes biodiversity by strengthening migration routes, enabling more interactions among and between species, and supporting species with a large home range, that is, those that require a large territory. The segment of the corridor near Chilamate has been weakened by agriculture and human use, and widening this bottleneck through reforestation will enhance the connection between Costa Rica's network of National Parks and protected areas, allowing endangered species such as the jaguar and the great green macaw to make much-needed comebacks. The SCLC believes that in order for conservation efforts to be effective, they must be sustainable both ecologically and socially. 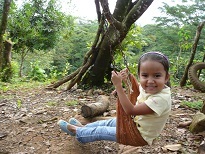 Sarapiquí is the sixth poorest of Costa Rica's 81 counties, and much of its recent explosive population growth has resulted from banana and pineapple plantations that supply multinational corporations. Along with other forms of agriculture such as cattle grazing, these plantations have resulted in the clearing of forest land, which in turn leads to the depletion of the soil through erosion and loss of nutrients. In recognition of the value of reforestation, in 1996 the government of Costa Rica began a program called Pago por Servicios Ambientales (PSA), or payment for environmental services, through which farmers are paid to reforest their land or to preserve existing forest land. However, this program only aids farmers who are able to set aside more than one hectare of land, so small landowners in the Sarapiquí region are often ineligible. The farmers who provide the land for our reforestation projects are instead compensated through the fees paid by tourists who participate in these projects. In addition, these farmers benefit economically from sustainable harvest of the timber once the trees mature and from the improvement to the soil and water quality of their land. This informational packet is just one of the many accomplishments made by our short term volunteers. Thank you for all your hard work!